A month ago today, Chris and I got engaged. The high still hasn’t worn off. Not a day goes by that I don’t stop and think, Oh my god, we’re getting married! It’s exciting and mind-blowing. The planning has begun, deposits are being made, and the word “fiancé” is now a part of my daily vernacular. Everything, and I do mean everything, is more fun when you’re wearing a shiny new ring. Typing on a keyboard? A blast. Washing your hands? A riot—look at how sparkly it is when it’s all clean! Walking around, riding the subway, breathing, existing, having a pulse? All insanely exciting. So, needless to say, cooking becomes (if you can even fathom it) more fun as well. This is why on the first morning that we were back in our apartment after our amazing trip to Seattle, I woke up, immediately preheated the oven, and started throwing flours together. It also doesn’t hurt that the lighting in our kitchen is highly conducive to glittery wondrousness. 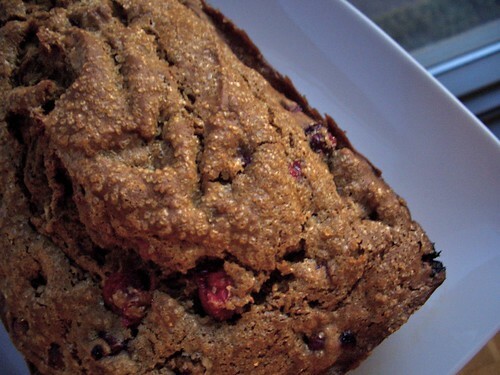 The product of that morning was a delicious cranberry bread made special with a blend of holiday-inspired spices. The warm, coziness of cinnamon and nutmeg is brightened by a bit of sweet citrus, and the tart pop of the cranberries is a seasonal joy. Since this loaf is made with teff flour and is consequently rich with protein, I am going to advocate it as a smart breakfast item. Though it’s equally good as dessert. Or a post-work snack. With a smear of cream cheese. Is it any wonder I’ve made three of these in the past month? Okay, part of the reason may have been to watch the light glinting off my hand as I whisked and creamed and folded my way through the recipe. But ‘tis the season for cinnamon, cranberries, and all things baked and lovely, and this bread fits the bill. Most importantly, though, it just plain tastes really good. In a medium bowl, whisk together the teff and rice flours, potato starch, baking soda, baking powder, xanthan gum, spices and salt. In a separate large bowl, use a hand mixer to combine the butter and sugar until evenly mixed and crumbly. Add the eggs, one at a time, beating well after each addition. 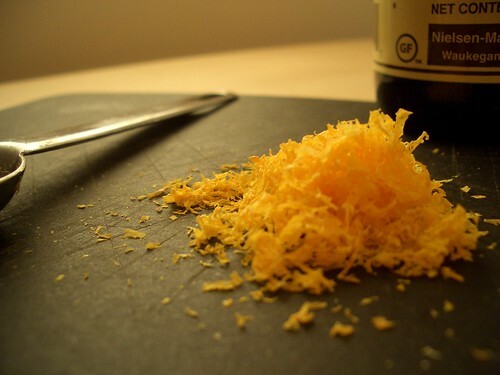 Mix in the orange zest, vanilla, and orange juice. Add one half of the flour mixture to the butter mixture. Once incorporated, add in 1/4 cup of the milk and mix well. Add the remaining flour and combine, then mix in the remaining milk. Using a spatula, fold in the cranberries. Pour the batter into a well-greased loaf pan and sprinkle generously with raw sugar (regular granulated sugar would work also). Bake for 55-60 minutes. A toothpick inserted into the center of the loaf will come out clean when it is done. Congrats on your engagement. This bread looks delicious. I haven't used teff, but I keep meaning to try it. looks so great! 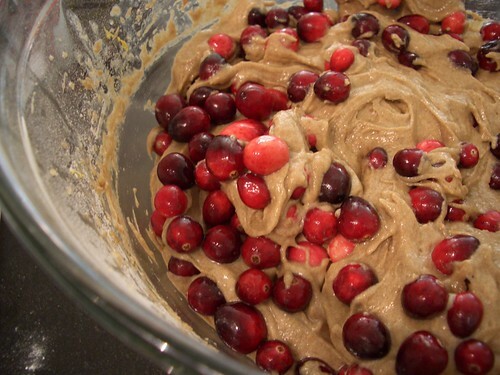 i would love to try something like this, have never tried teff or cooking with whole cranberries… lame, I know.